3 of the Power 5 Conferences will have their tournament in a location near a far-flung, relatively new member. 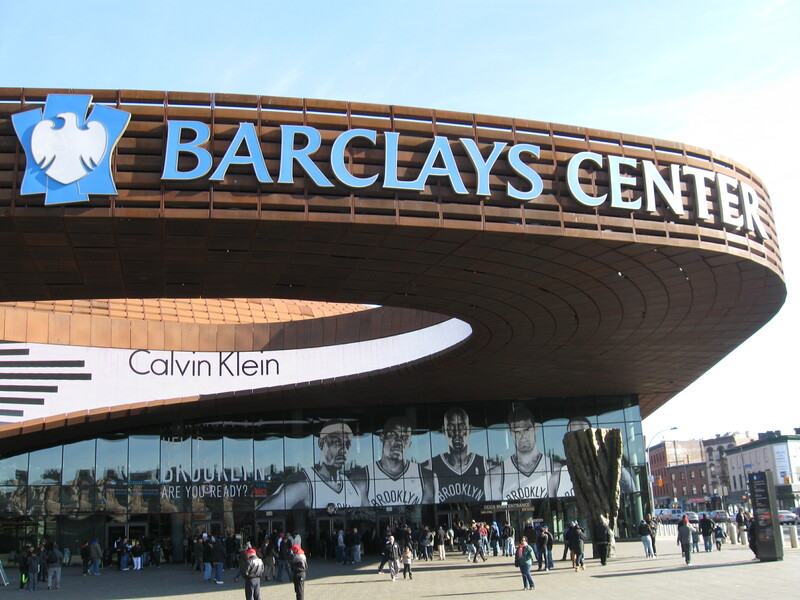 ACC is one of those with Brooklyn’s Barclays Center being the site. It’s my favorite time of year again! We’re just days away from College Basketball moving into the Second Season as we reach conference tournament time. While the NCAA Tournament is the core of March Madness, the Conference Tournaments should not be overlooked as there is plenty of excitement within each bracket. Since this is a stadium website, I like to break down each College Basketball conference and their respective tournament location. It’s not as fun when more conferences nowadays need a plane ticket just to travel to a road game, but nonetheless, long-time lovers of this sport can’t resist getting excited when the calendar hits late February. Every conference and tournament location is placed below into one of three categories: “Good”, “Ehh” and “Bad”. This is a spread-out conference in the western half of the US and with Vegas already packed with other tournaments, the next best choice is Reno. The Biggest Little City in the World has embraced the tournament well and The Events Center is relatively new, mid-sized venue that fits wonderfully. Perfect spot in a basketball-rich city that loves the conference and always supports this tournament. Excellent location and fans travel well here. It’s a great tournament made even better by a natural bracket with no double-byes. Norfolk is probably the best option around for this league. Hands-down, Arch Madness is the best conference tournament in the country. Crushing that the contract with the Nashville Municipal Auditorium was not renewed. That was the perfect place for the conference. Even though Evansville is an MVC city, I’m willing to give it a shot as the city is central to many league members and the arena is first-class. Vegas, rightful king of the conference tournament and the Pac-12 fits right in. New Orleans is centralized and offers a lot for visiting fans. Great move in playing this at the Lakefront Arena as that is a much better venue for the Sun Belt, than the Smoothie King Center. Campus sites host the early rounds before the Semis and Final shift to this 5,000-seat arena. Nothing against the host or facility as I think they’re pretty good, just that this is always a depleted tournament because of APR qualification issues. I know this conference is too small to generate a big crowd at a neutral site. But I think Springfield, MA and the MassMutual Center would be a solid location for them. Side Note: They’ve tightened up the spacing between each round as what used to be an 11-day gap between Quarterfinals and Finals is now a proper 7 days. Well, it’s not Atlantic City, which was a perfect site years ago…but DC is not a bad choice as you have six schools within a three-hour drive. Definitely an expensive affair, but there is so much to do nearby to the arena. I’m really struggling with this one. Losing the sacred 14-game tournament is one thing, but I’m having trouble with the location. The Palestra is a magical place and an amazing arena for any game, let alone tournament. But is it fair that it is on Penn’s campus? What if Harvard wins the league by a game this year and they have to play Penn in a road game for the championship and NCAA berth. Hard to justify no matter how great an arena. Detroit and Oakland certainly will have an advantage in the Motor City and I think that Detroit is a fine host. But, I still believe Fort Wayne would be a perfect fit for the Midwestern City School league. Despite it being Siena’s home court, Albany has been the best of the many places tried by the MAAC the last few decades. I wish they would consider Newark’s Prudential Center as it is closer to the core of the league’s teams. See all of the above home courts (this one is UNLV’s). How about Salt Lake City? The Sanford Premier Center is a beautiful new arena and Sioux Falls embraces this event. It’s just that the Summit League is so spread out that it is understandably hard to get fans to make the trip. I hate these big leagues and their spread out schools. The ACC is back in Brooklyn and I long for the days of seeing the teal and purple court in Greensboro. Games were routine sellouts as most schools were within a six hour radius from the tourney. It really doesn’t matter where the tournament is since this conference is a random mix of teams stretching halfway around the world. While the host city gives UCF an unfair advantage, at least travelling to Orlando in March is a lot better than Hartford. Surely they can do better as the league footprint has plenty of mid-sized cities that could host. Roanoke, Greenville, Florence, Greensboro. Even going to Myrtle Beach would be worth a shot. The conference that is at the forefront of money-grabbing and needless exposure has decided to move their tournament up by a week, just so that this former Midwest league can play in the bright lights of NYC. That means conference games in early December, a 10-11 day break for teams that make the tournament and seeing Wisconsin-Maryland on a weekday afternoon with a crowd of maybe 2,500. A great city and warm climate for a tournament…but, it’s not even close to 70% of the league’s members. I miss the good ol’ days in Richmond when this was a Virginia-centric league. OK Patriot, it’s time to take a step and grow up…especially since you decided to make the curious move to 10 teams a few years ago by adding Boston and Loyola (MD). Allentown and the relatively new PPL Center would be perfect. Another example of the Power 5 having to show love to an out-of-place, newish member. Atlanta and the SEC are Kings of the South. This event should always be in Atlanta. What kind of crazy teams play in this league again?